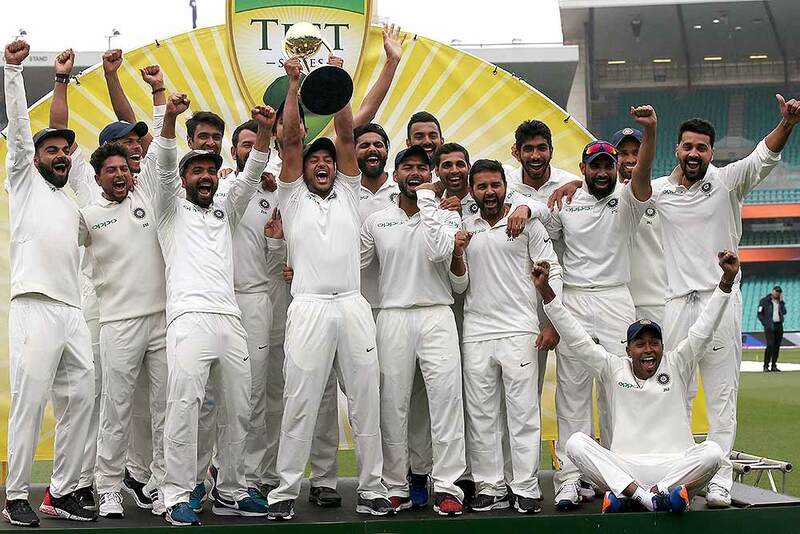 The Indian cricket team and support staff celebrate their series win over Australia after play was called off on day 5 of their cricket test match in Sydney. 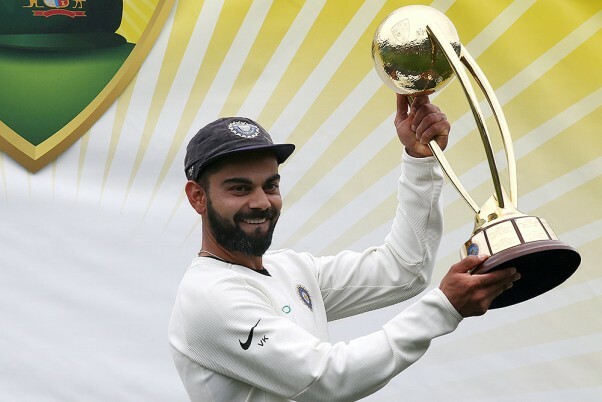 The match is a draw and India wins the series 2-1. 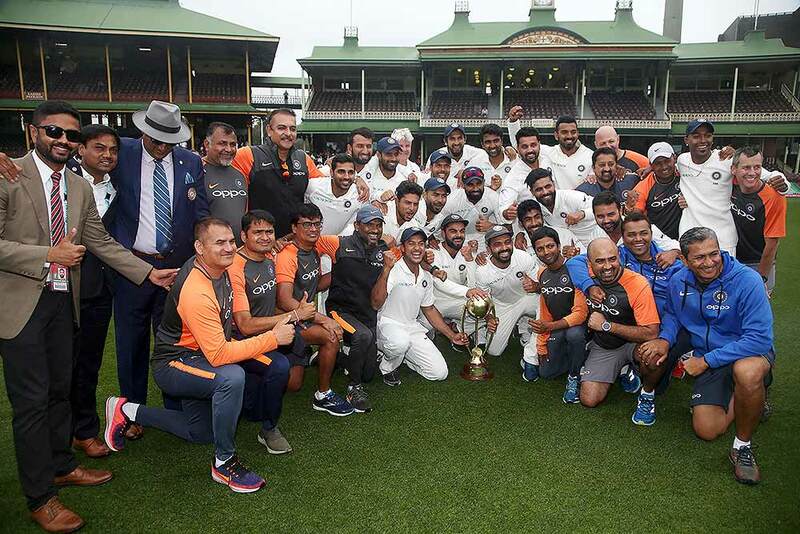 India's cricket team celebrate with the Border–Gavaskar Trophy as they celebrate their series win over Australia after play was called off on day 5 of their cricket test match in Sydney. 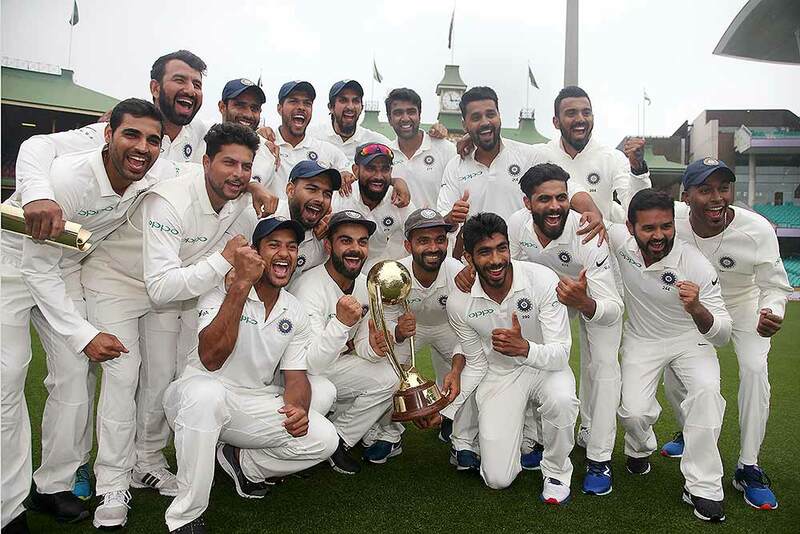 The Indian cricket team celebrate their series win over Australia after play was called off on day 5 of their cricket test match in Sydney. 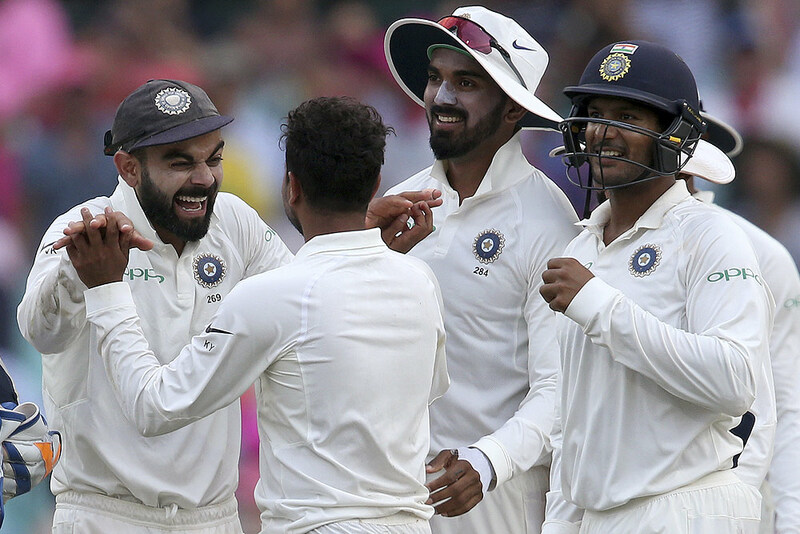 The match is a draw and India wins the series 2-1. 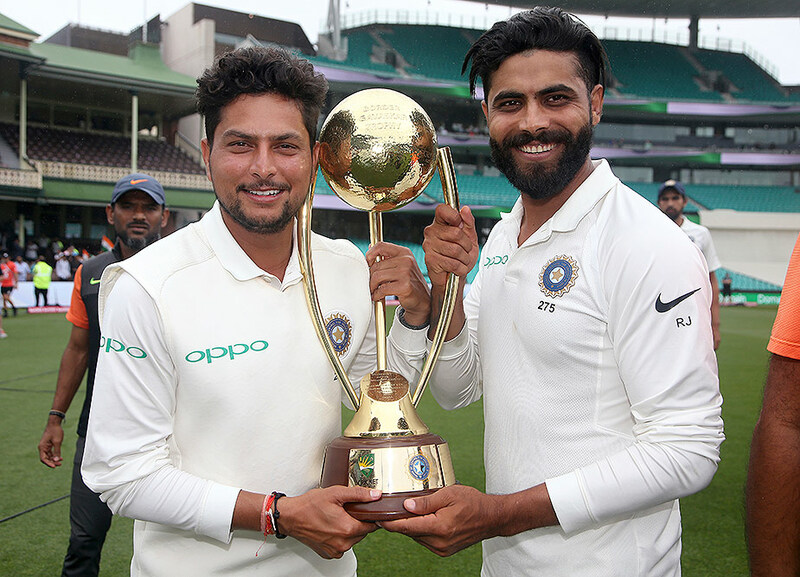 India's Kuldeep Yadav, left, and Ravindra Jadeja hold the Border-Gavaskar Trophy as they celebrate their series win over Australia after play was called off on day 5 of their cricket test match in Sydney. 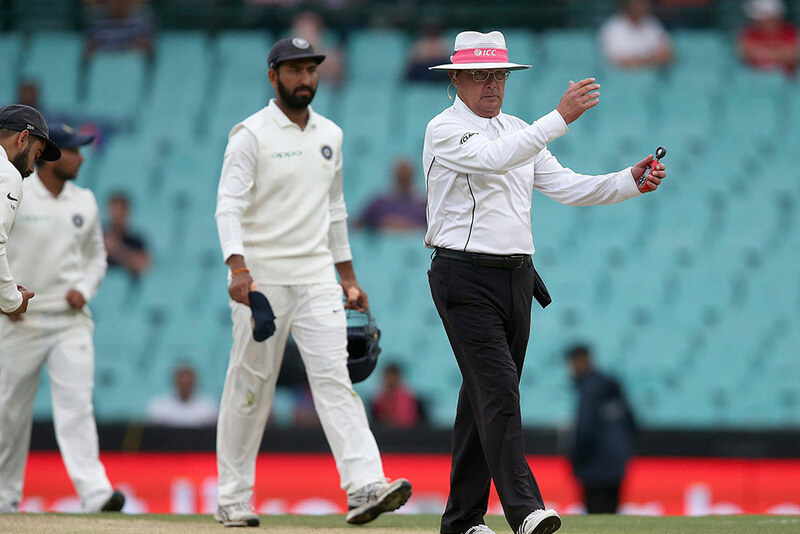 Umpire Ian Gould, right, signals that an early tea break will be taken due to poor light on day 4 of the cricket test match between India and Australia in Sydney. 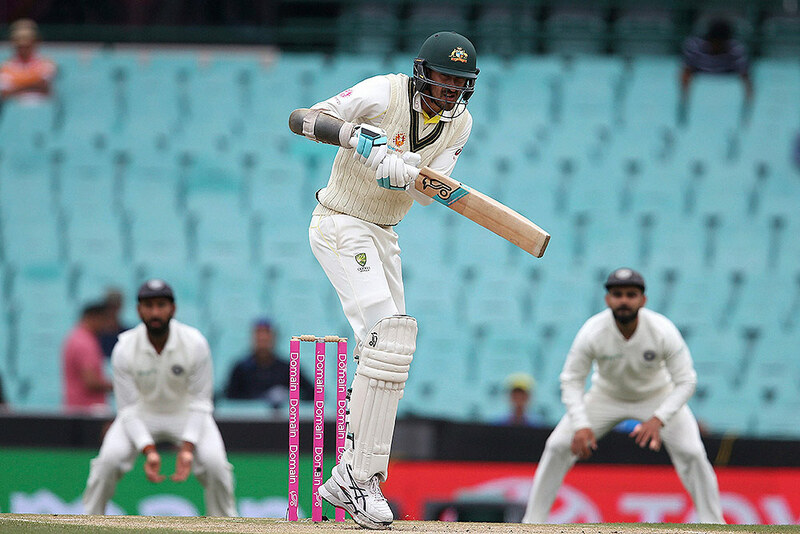 Australia's Mitchell Starc lets a high ball go past on day 4 of their cricket test match against India in Sydney. 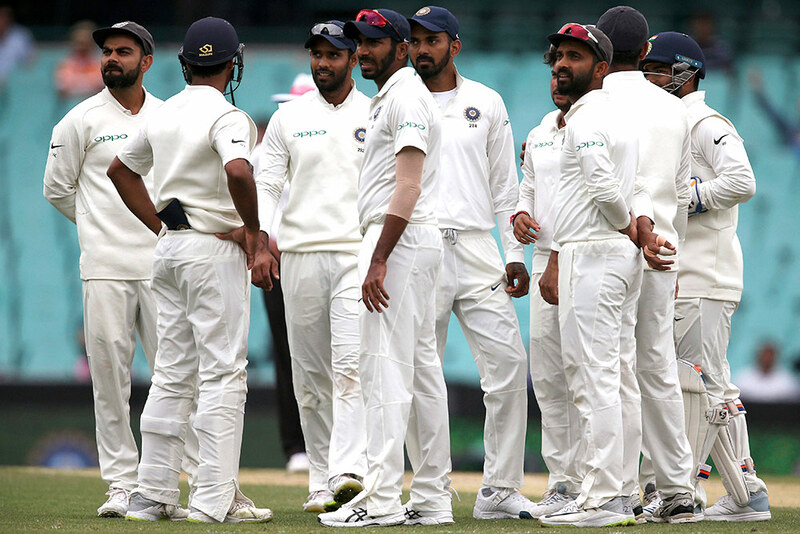 Indian teammates watch a replay after taking the wicket of Australia's Nathan Lyon on day 4 of their cricket test match in Sydney. 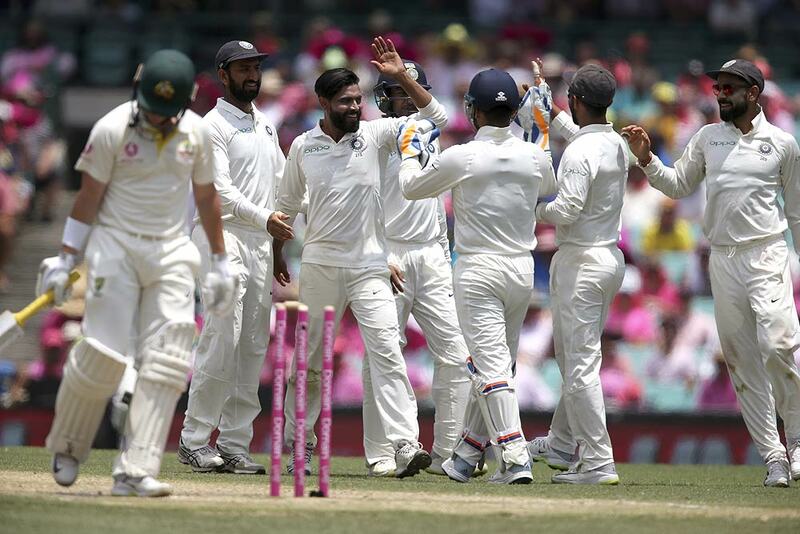 India's Ravindra Jadeja, third left, is congratulated by teammates after taking the wicket of Australia's Marcus Harris, left, on day 3 of their cricket test match in Sydney. 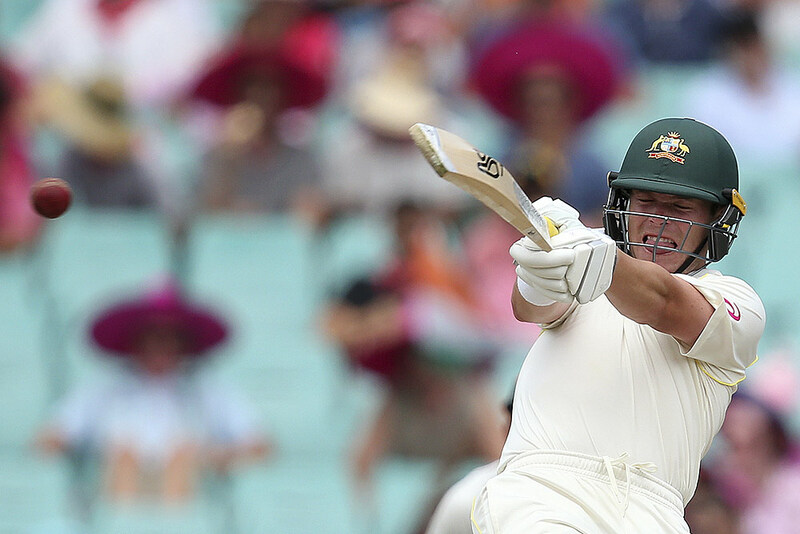 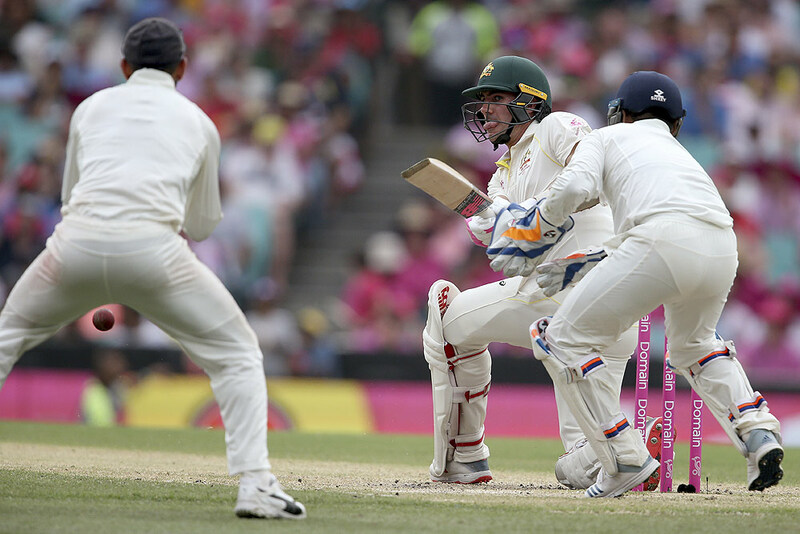 Australia's Marcus Harris pulls the ball against India on day 3 of their cricket test match in Sydney. 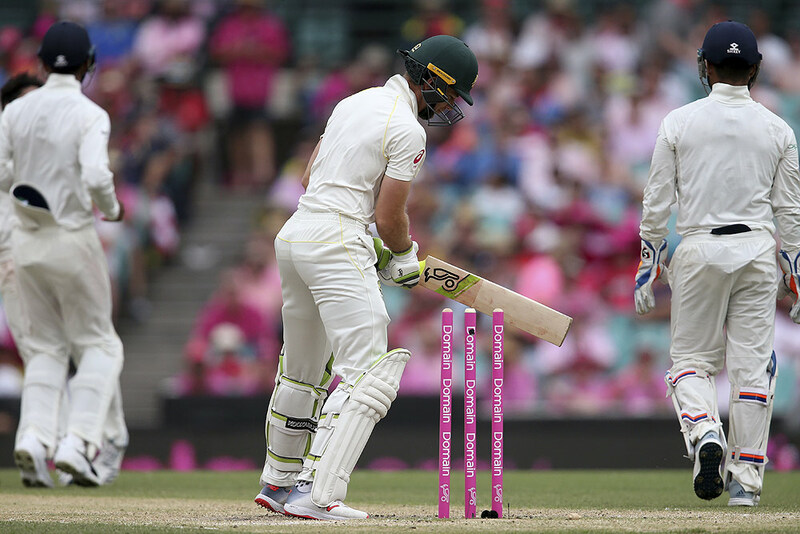 Australia's Tim Paine, center, stands over the stumps after he was bowled by India's Kuldeep Yadav on day 3 of their cricket test match in Sydney. 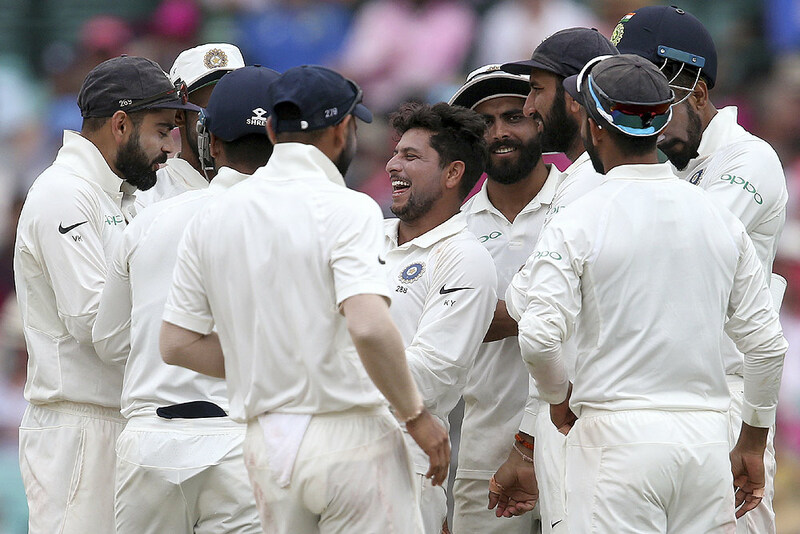 India's Kuldeep Yadav, center, celebrates with teammates after taking the wicket of Australia's Tim Paine on day 3 of their cricket test match in Sydney. 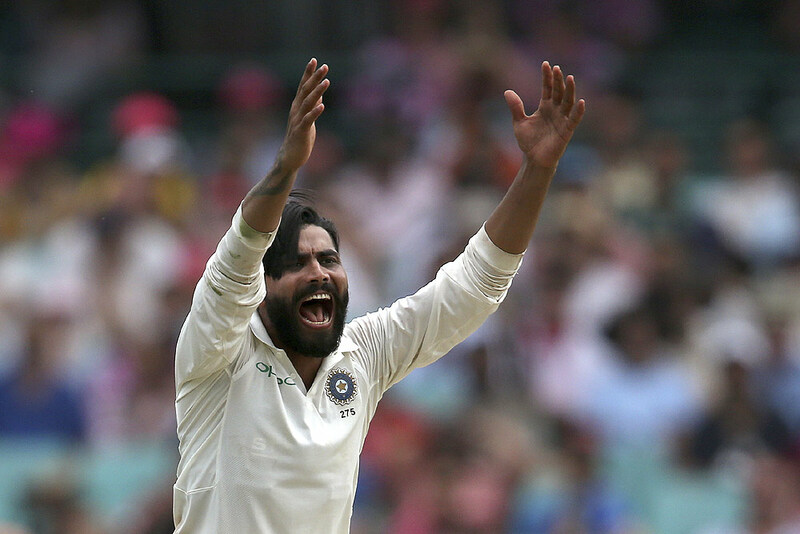 India's Ravindra Jadeja appeals for a LBW decision against Australia on day 3 of their cricket test match in Sydney. 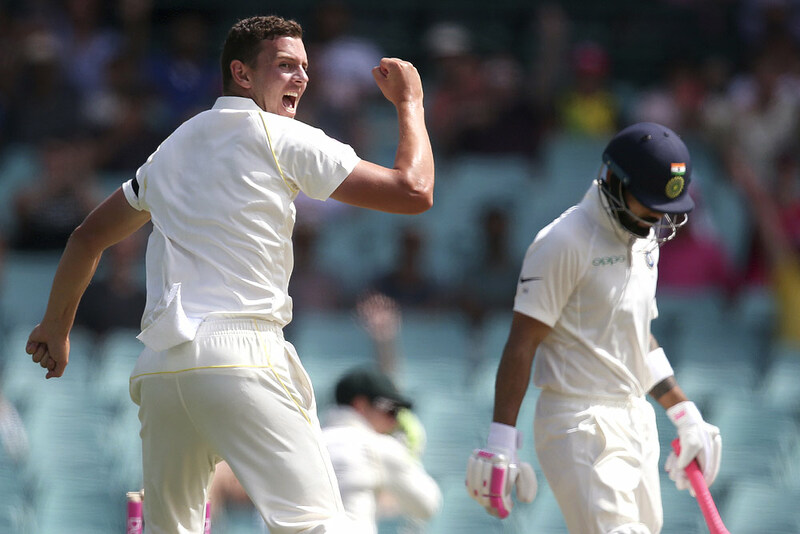 Australia's Pat Cummins, center, sweeps the ball against India on day 3 of their cricket test match in Sydney. 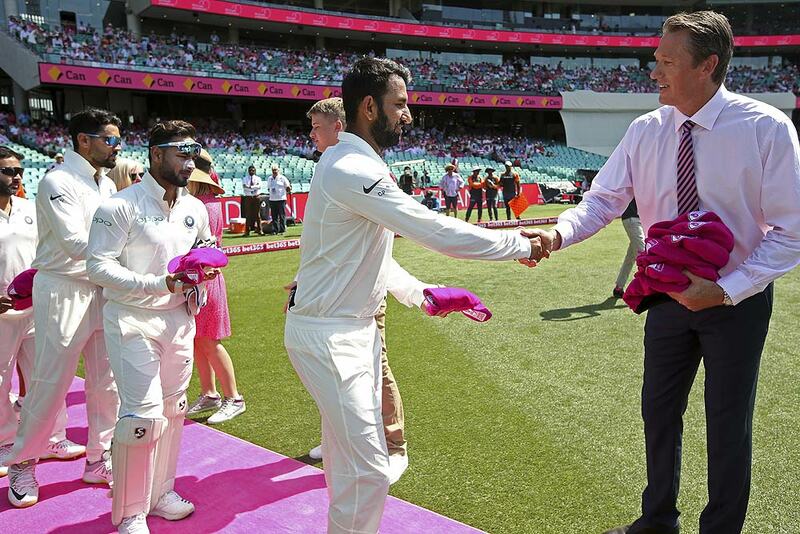 India's Cheteshwar Pujara, second right, presents to former Australian player Glenn McGrath, right, a pink cricket cap as support of McGrath's charity before play on day 3 of their cricket test match against Australia in Sydney. 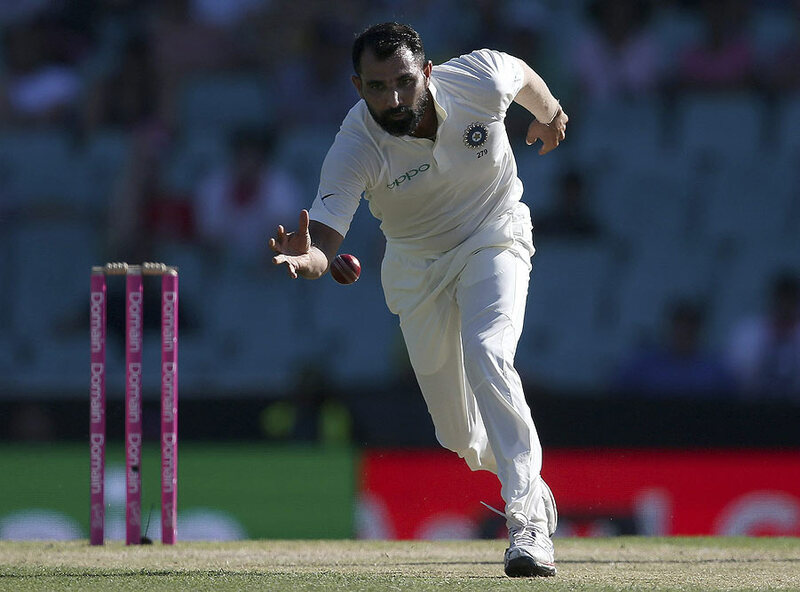 India's Mohammed Shami fields off his own bowling to Australia on day 2 during their cricket test match in Sydney. 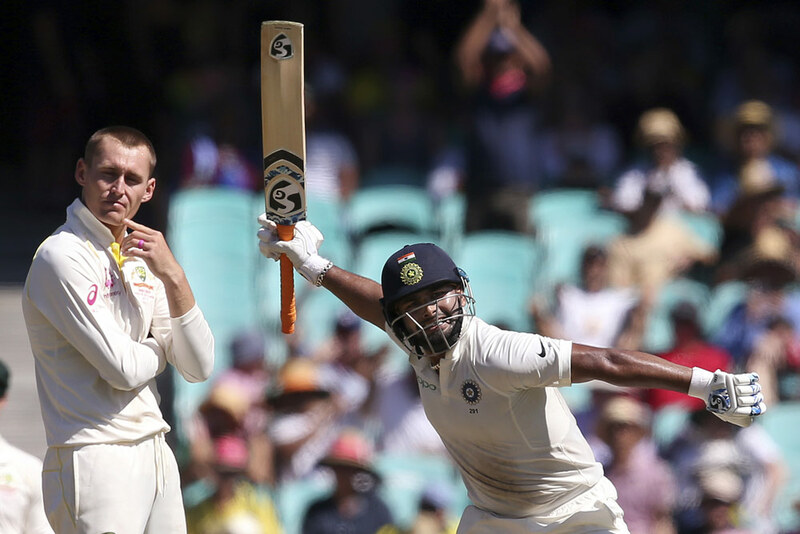 India's Rishabh Pant, right, celebrates making 100 runs as Australia's Marnus Labuschagne turns away on day 2 during their cricket test match in Sydney. 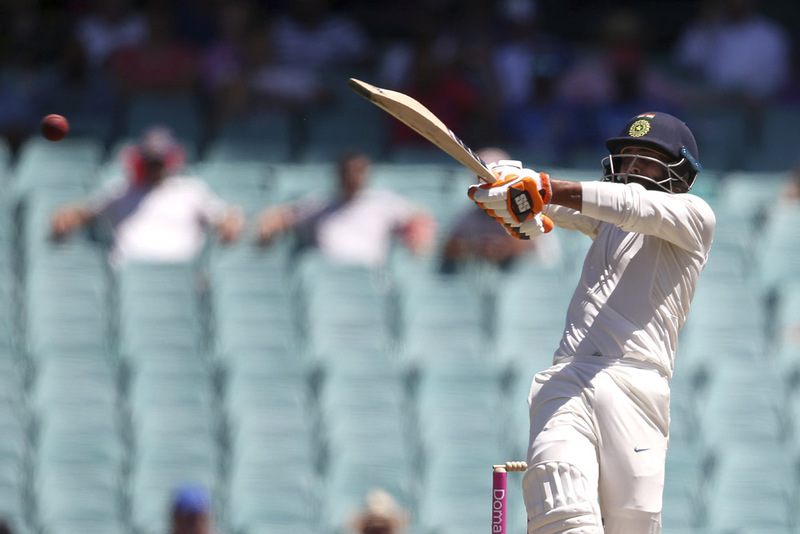 India's R. Jadeja pulls the ball on day 2 during their cricket test match against Australia in Sydney. 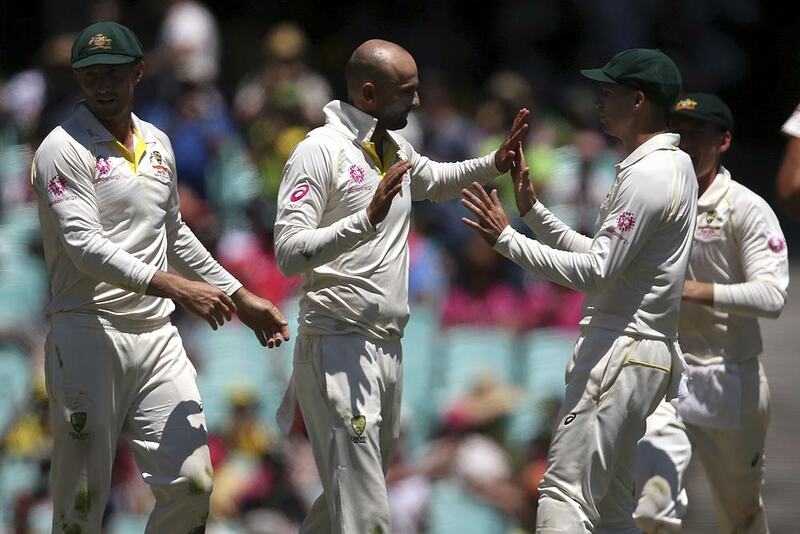 Australia's Nathan Lyon, second left, is congratulated by teammates after he caught and bowled India's Cheteshwar Pujara on day 2 during their cricket test match in Sydney. 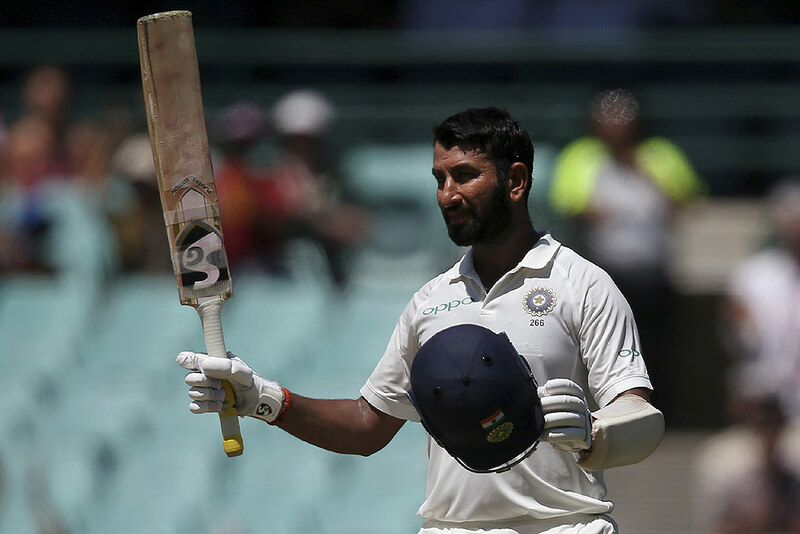 India's Cheteshwar Pujara walks off after he was caught out for 193 runs against Australia on day 2 during their cricket test match in Sydney. 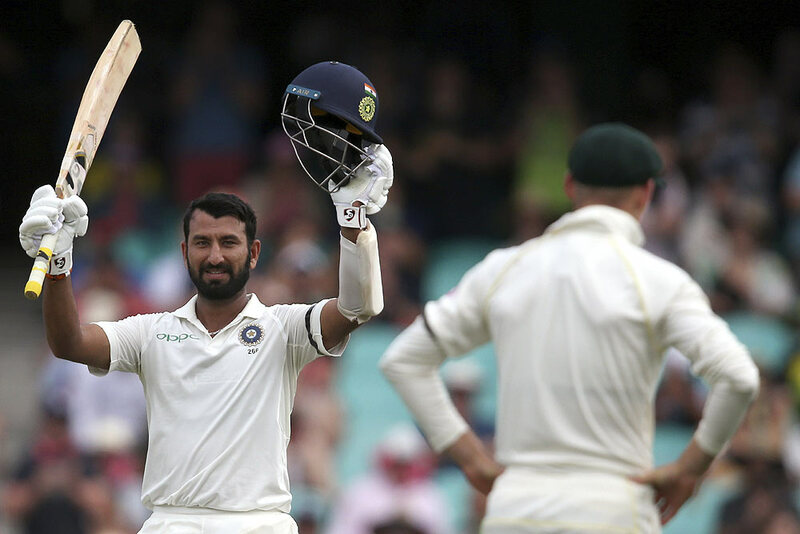 India's Cheteshwar Pujara celebrates making 150 runs against Australia on day 2 during their cricket test match in Sydney. 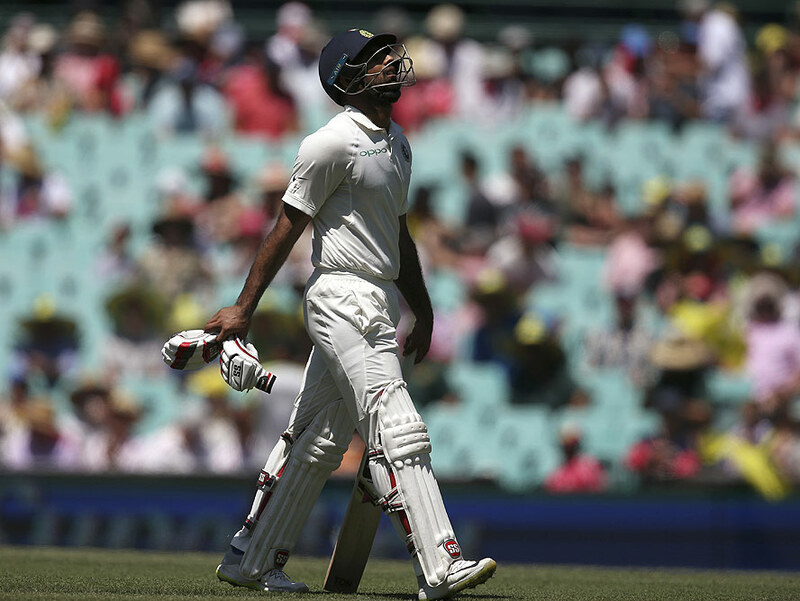 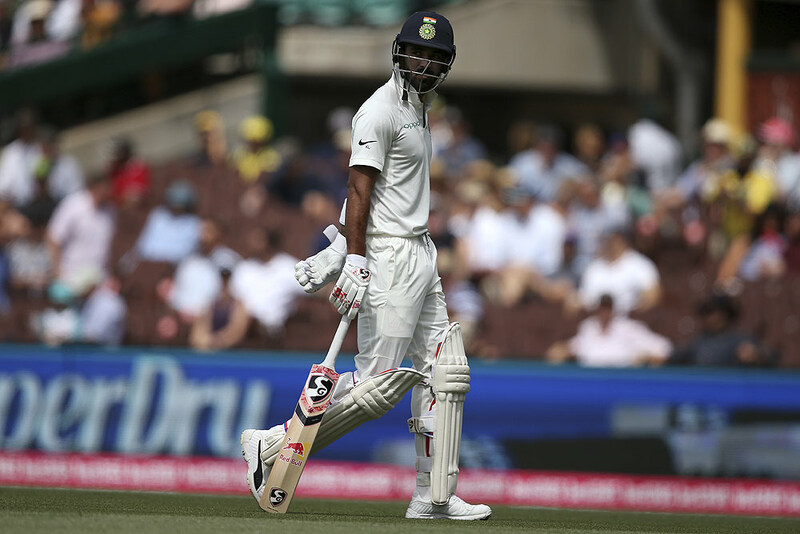 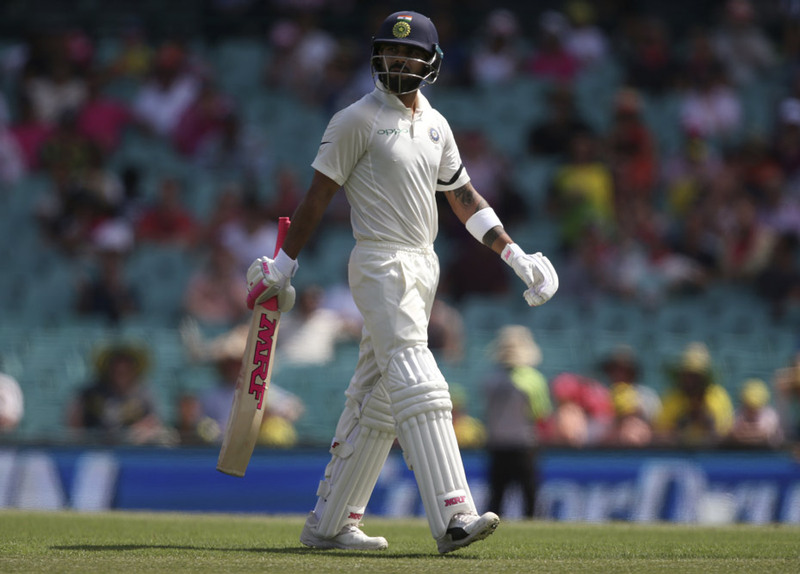 India's Hanuma Vihari walks off after he was caught out on day 2 during their cricket test match against Australia in Sydney. 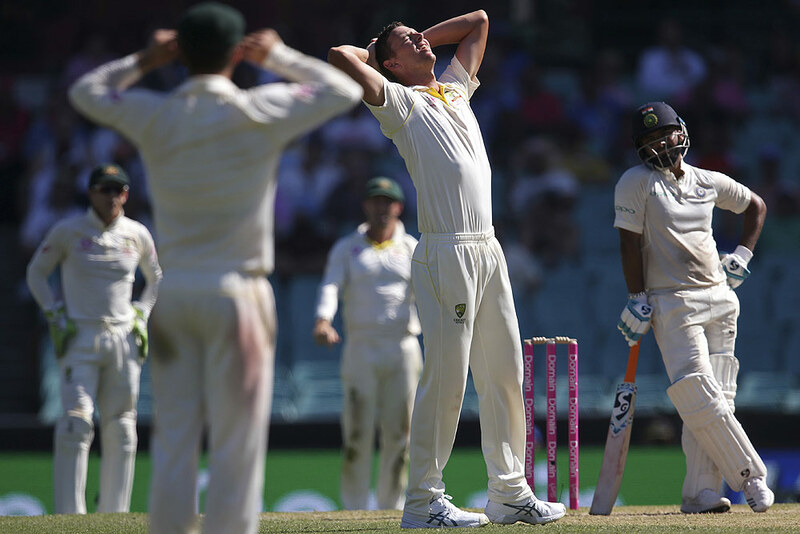 Australia's Josh Hazlewood, second right, holds his head after losing an appeal for a LBW decision on India's Rishabh Pant, right, on day 2 during their cricket test match in Sydney. 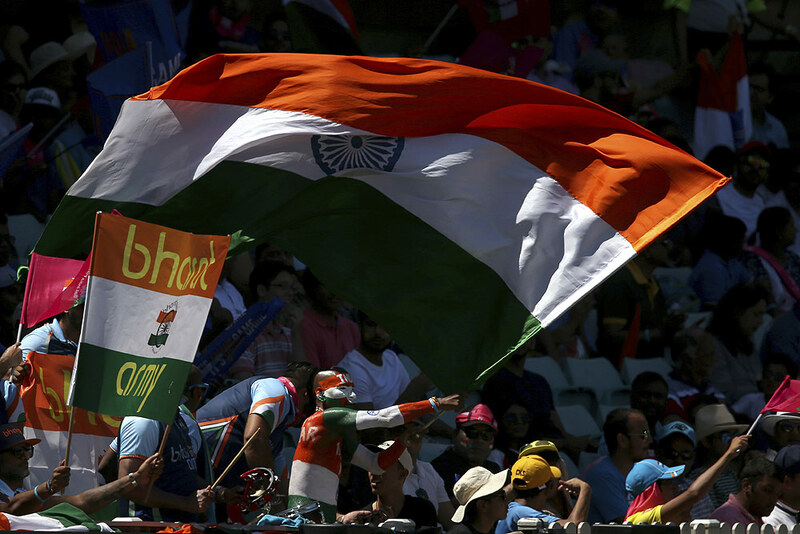 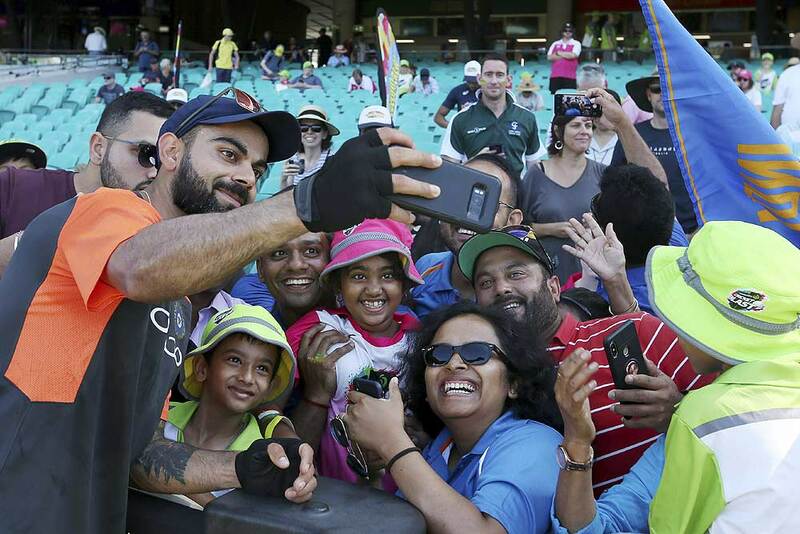 Indian cricket fans wave flags on day 2 the cricket test match between India and Australia in Sydney. 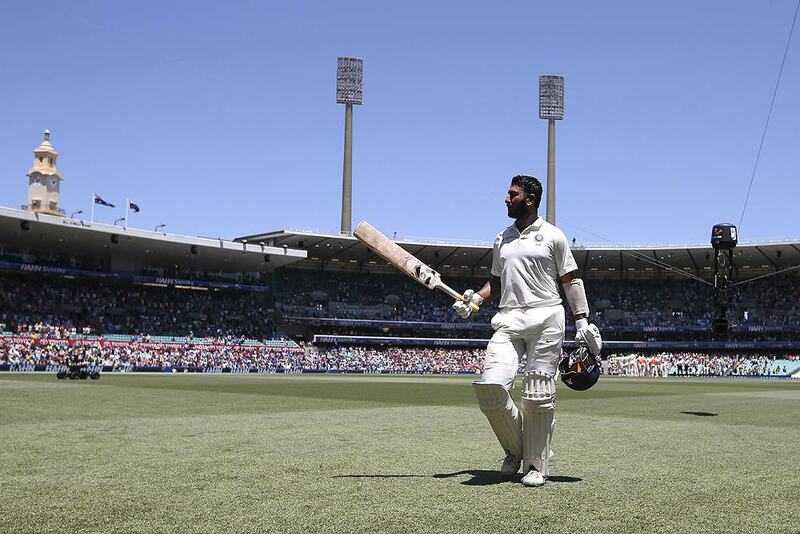 India's Cheteshwar Pujara celebrates making 100 runs against Australia during their cricket test match in Sydney. 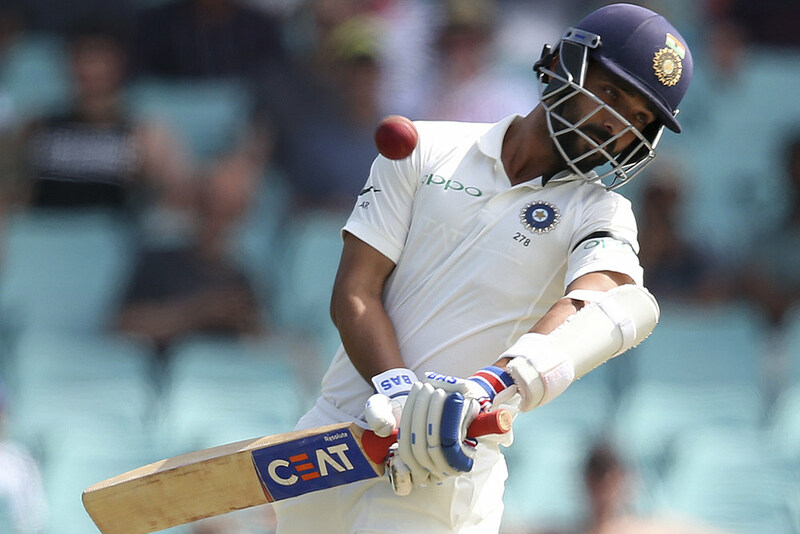 India's Ajinkya Rahane avoids a ball while batting against Australia during their cricket test match in Sydney. 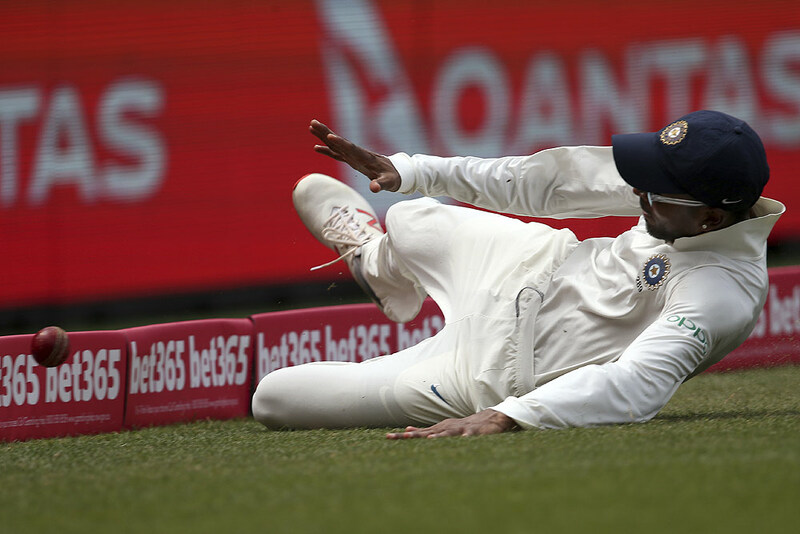 India's Cheteshwar Pujara removes debris from the wicket during their cricket test match against Australia in Sydney. 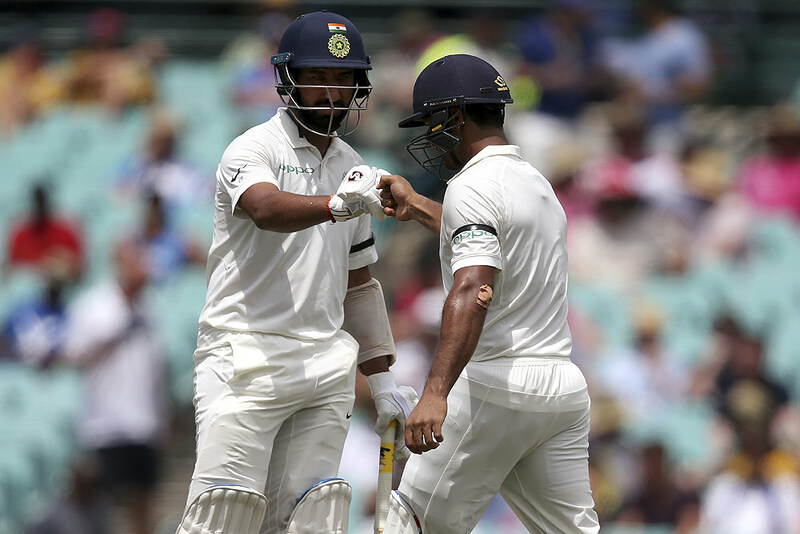 India's Mayank Agarwal, right, and Cheteshwar Pujara encourage each other while batting against Australia during their cricket test match in Sydney. 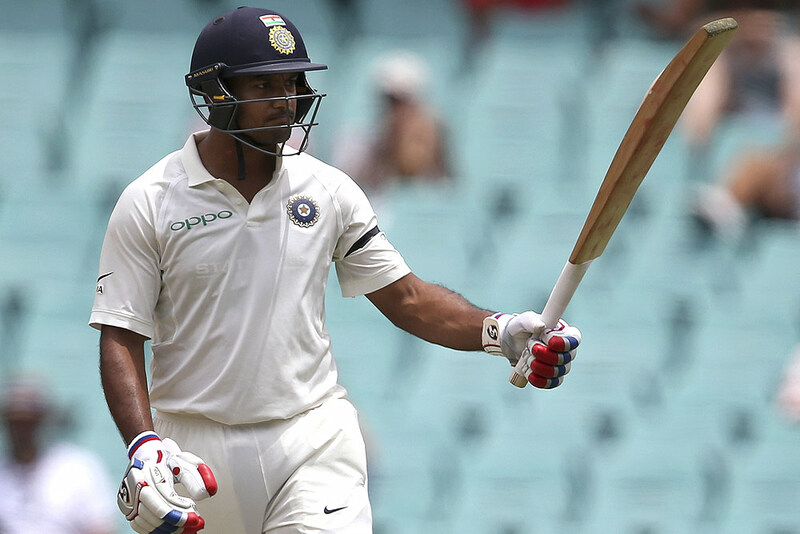 India's Mayank Agarwal raises his bat after making 50 runs against Australia during their cricket test match in Sydney. 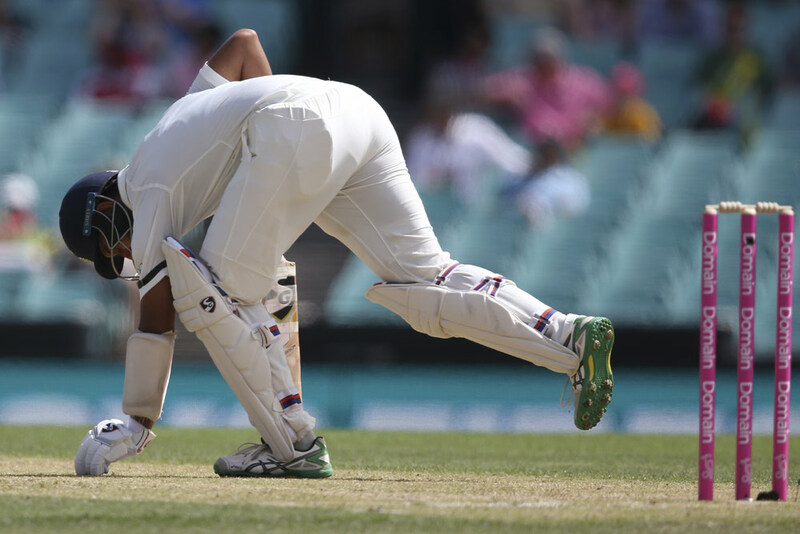 India's Mayank Agarwal holds his head after he was caught out for 77 runs against Australia during their cricket test match in Sydney. 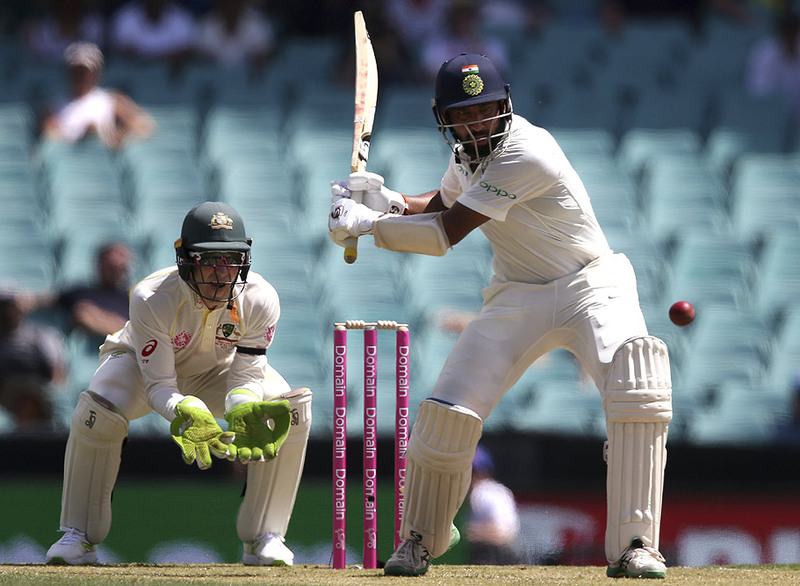 India's Cheteshwar Pujara, right, prepares to pull the ball in front of Australia's Tim Paine during their cricket test match in Sydney. 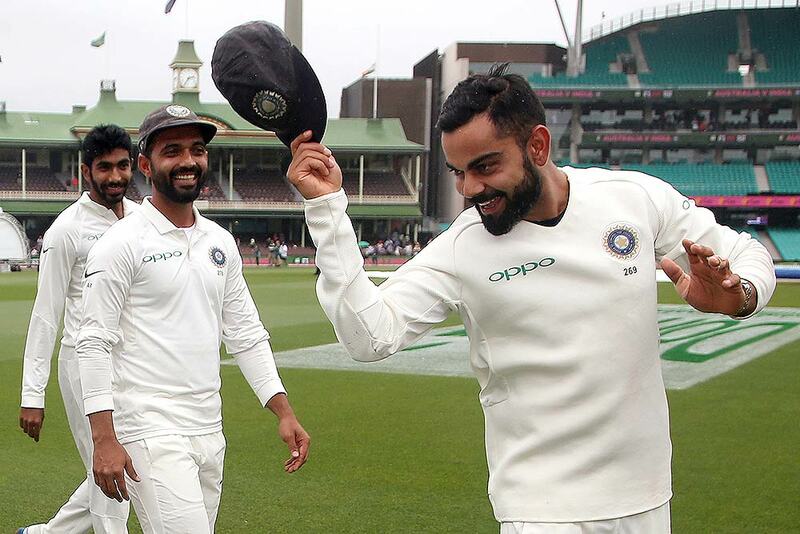 India's K.L. 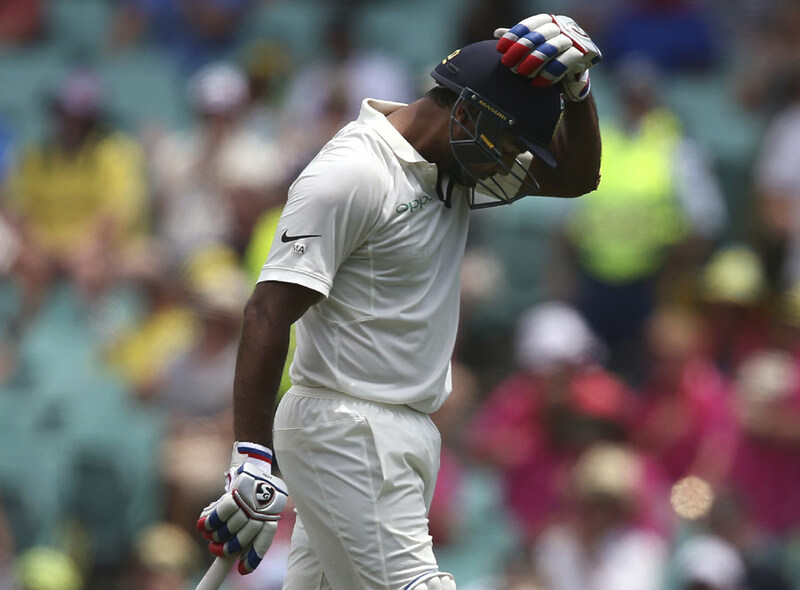 Rahul walks off after he was caught in the slips for 9 runs against Australia during their cricket test match in Sydney.